Sleep deprivation comes in many forms, and with many causes. Sometimes the issue is purely psychological or even self-inflicted, but in many cases it’s a direct result of chronic breathing problems. 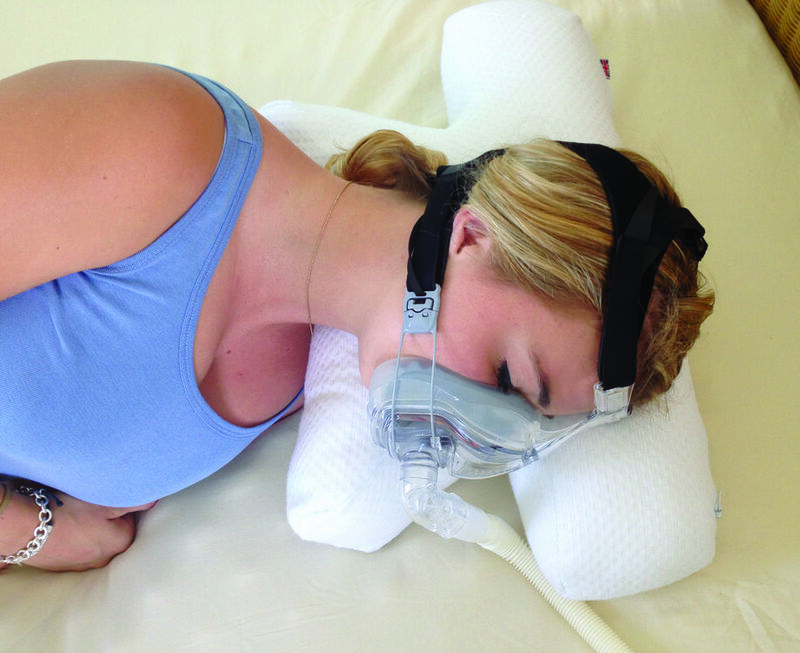 CPAP pillows are a revolutionary way to counteract these ailments, and in this guide we’ll explain why their design, materials and concept can ensure a good night’s rest for anyone with respiratory issues. Sleep apnoea is a common disorder where one’s breathing is interrupted by pauses as they sleep. Each of these pauses can last from a few seconds to several minutes, and each time your breathing is disrupted you will transition from a deep sleep into a light sleep. It is a leading cause of excessive daytime sleepiness. Emphysema is another breathing illness that severely affects sleep. It is an obstructive lung disease, where the airflow is slowed or stopped because over-inflated alveoli do not allow significant movement of gases. The excessive coughing and chest pain caused by emphysema naturally make sleep difficult, but the medications used to treat it can also cause insomnia and daytime sleepiness. Loud Snoring - Although snoring is a symptom of sleep apnea, it is also a separate issue which may not be connected to the condition. While snoring is a disruptive habit that can be controlled, sleep apnea is a condition that interrupts your breathing. Choking Sensation - The interruption of waking up due to a choking or gasping sensation is caused by the breathing difficulties which stem from sleep apnea. This is a result of the lack of oxygen to the brain and body. Sleepiness During The Day - If you suffer from interrupted sleep at night, then this may be a symptom of sleep apnea and you may feel signs of fatigue during the day. Forgetfulness & Mood Changes - Lack of sleep may affect you in numerous ways including mood changes and forgetting things. If this is a regular occurrence due to sleep deprivation, this may be a symptom of sleep apnea. Morning Headaches - Morning headaches can often be associated with snoring during the night or the condition of sleep apnea. However once snoring has been alleviated, headaches in the morning should ease too. While there are many forms of treatment available such as remedies, sprays and tablets, one of the most effective ways is to wear a mask that fits comfortably over the mouth and nose, stopping the throat from closing. It is connected to a quiet machine that gently blows air into the airways. Although this may seem like an uncomfortable form of treatment, it is actually a very effective method and an easy solution to become accustomed to. CPAP masks are available in a variety of styles, are easy to use and can be simply adjusted for your own purposes. Specialised breathing apparatus, such as Continuous positive airway pressure (CPAP) ventilators or Bilevel Positive Airway Pressure (BIPAP) therapy are common remedies to these sleep-affecting ailments. However, they make sleeping with a regular pillow unsafe due to the worn masks and specialized sleeping position required. 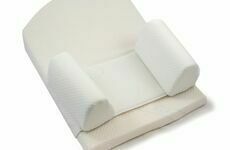 Cosy Co’s specialist CPAP pillows are uniquely designed to help those who sleep with a breathing apparatus. Their unique shape includes cut-outs on the sides, which help lower the risk of the mask being moved whilst the user sleeps. These simple inserts reduce the pressure of the mask on the face, help to reduce leaks, and they make it possible for the wearer to sleep on their side. 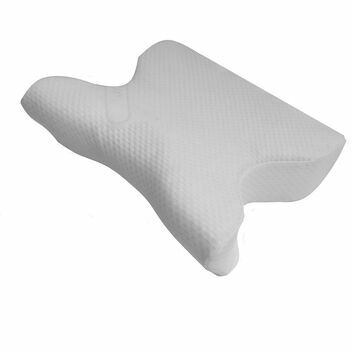 The special alignment in the CPAP pillows also improves sleeping posture - ensuring the airways are correctly aligned. 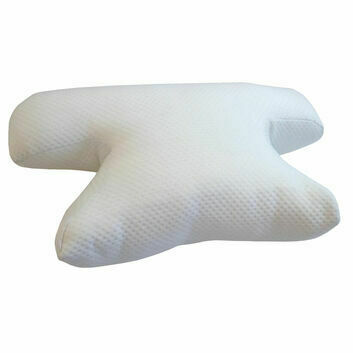 The pillows are made from a soft, supportive fluffed fibre core which is very similar to traditional pillows, albeit hypo-allergenic and with micro-bacterial properties. 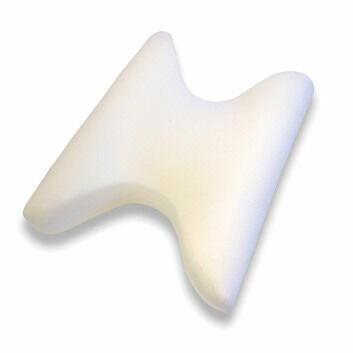 A Contour Memory Foam CPAP Pillow, available in one of three sizes. 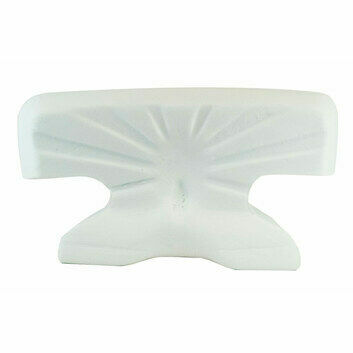 A Contour Specialist Supportive CPAP Pillow, designed using a unique mould. 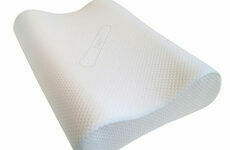 Mini Travel CPAP Pillow, ideal for those with sleep apnoea or emphysema who frequently travel for work. Our CPAP pillows provide both luxury and comfort, and ensure those with chronic breathing problems are able to get a good night’s sleep they deserve.